No “Bah Humbug” here…We’re giving away TWO family 4-packs to see the fantasy adventure filled with wonderful songs and dances of the season! Magic Tree House, the #1 bestselling chapter book series of all time, premieres this large-scale, holiday-themed spectacular in Dallas! 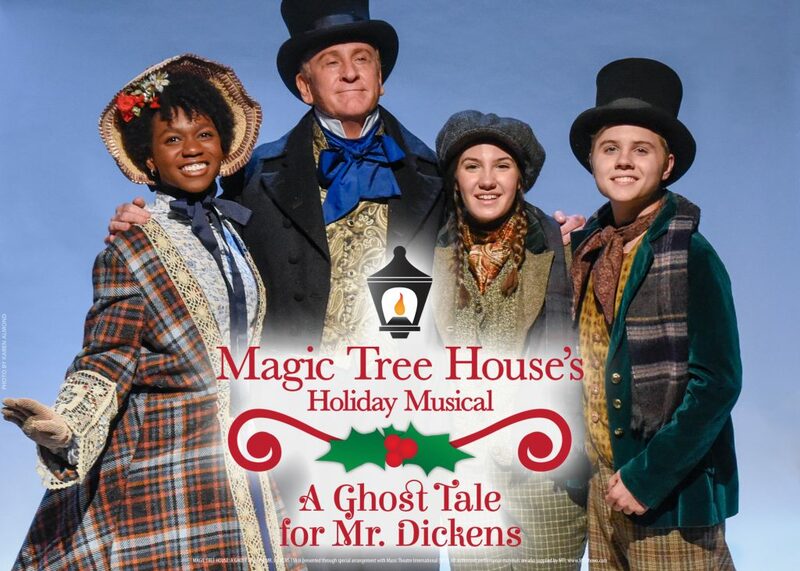 Be among the first to see Jack and Annie whisked back in time aboard their magical tree ride to the foggy streets of Victorian England. The Contest begins at 12:01 AM Pacific Time (“PT”) on Monday, November 5, 2018 and ends at 11:59 PM PT on Monday, November 19, 2018 (“Entry Period”)—Any entries received after the Entry Period will not be eligible for judging.